Looking to establish a new replacement headquarters in the immediate sub-market, mortgage lender Home Point Financial commissioned Hobbs+Black to do an office fit-out of a former Conway Freight Building space in Ann Arbor. The open office environment consists of a mix of scaled environments for different work styles to echo Home Point’s collaborative, transparent work culture. 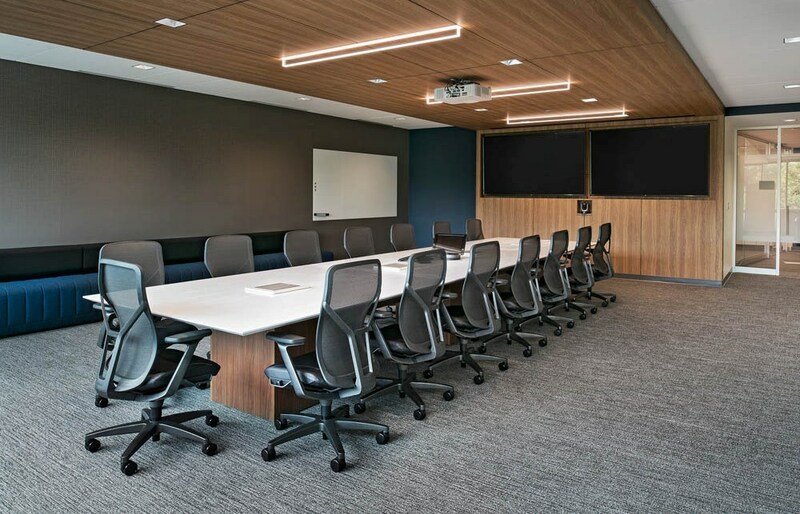 Hobbs+Black used design principles based on the latest work space design research to provide flexible, modern solutions to accommodate 15-20 enclosed offices, IT/storage spaces, several conference rooms, and work/break rooms. The current office space in use amounts to approximately 30,000 square feet. Future growth projections indicate expansion capability up to 50,000 square feet over a five-year time horizon may be required; as such, preliminary programming, planning, and project support for flexible growth spaces was developed for when the need for expansion arises.